Using crafts is always a fun way to engage kids in learning about Chinese New Year. While their hands are busy creating brightly-colored paper confections, you can tell them about the story of Nian, the Kitchen God, or why dumplings and noodles are a favorite food served at Chinese New Year dinners. There are many great crafts for Chinese New Year, and ChinaSprout is pleased to carry a number of really great craft books for the holiday. 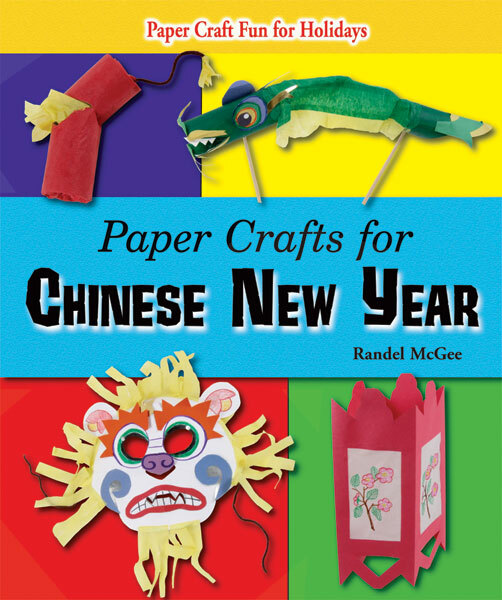 Paper Crafts for Chinese New Year - Written by puppeteer and storyteller, Randel McGee, this children's craft book mixes information about the history and traditions of the holiday with eight related crafts. Enlargeable patterns make individualizing the projects easy. Chinese New Year craft projects include dragon puppets, red envelopes, shadow puppets, Chinese lanterns, firecrackers, and more. This book is perfect for children 6 and up, but can be used for younger children if they have adult support with cutting. 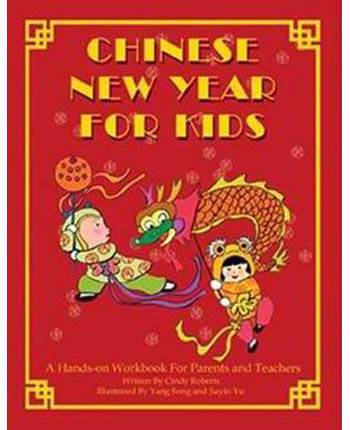 Chinese New Year for Kids - This workbook for both parents and teachers can be used at home or in the classroom. Published by ChinaSprout, the 30-page, full color book is practically a child's handbook for the holiday. Explanations of Chinese New Year, the Chinese New Year calendar, the importance of ancestors in China, as well as ways the Chinese celebrate the holiday are accompanied by hands-on crafts, games and activities. Children will learn to make dragon puppets, red envelopes and paper lanterns. They will also participate in a lion dance and dragon parade. Pair this with ChinaSprout's Chinese New Year Packets, and you have everything you need to share the holiday with a classroom or create a Chinese New Year party. Chinese New Year Crafts - The combination of detailed instructions on the left pages with step-by-step photographs on the right create an easy-to-follow format. This 32-page book features 10 crafts including a dragon streamer puppet, a ribbon lantern, Chinese zodiac pictures, and more. The introduction includes some brief information about the holiday. Chinese New Year Crafts is a geared toward kindergarten through fifth grade students, though it will be more appealing to younger children. The Chinese New Year is quickly approaching on February 3. This year, we say goodbye to the Year of the Tiger, and welcome the Year of the Rabbit. Chinese New Year is the perfect time to introduce children to Chinese culture. Although a good percentage of the world celebrates the holiday, it is a uniquely exciting celebration to many kids. 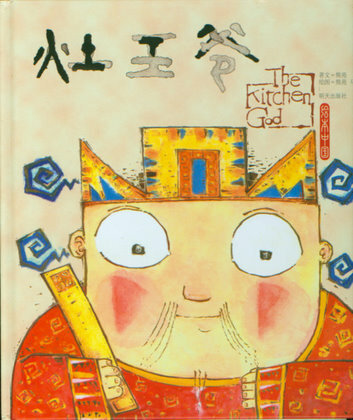 Kitchen God - According to Chinese legend, the Kitchen God watches over families throughout the year. Just before the New Year, he travels to heaven to report on the family's activities to the Jade Emperor. This beautifully illustrated picture book is full of fun and mischief. Children will relate as the story unfolds about a family and their misbehavior, which occurs under the watchful eye of the Kitchen God. 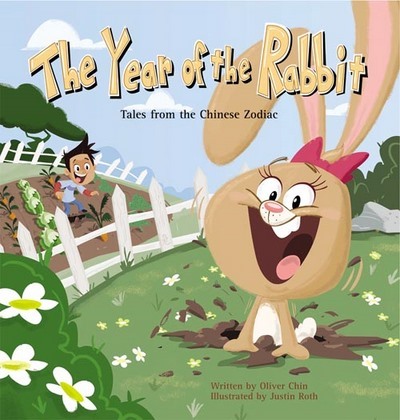 The Year of the Rabbit: Tales from the Chinese Zodiac - This is the sixth in a planned 12-book series that introduces children to the animals of the Chinese zodiac. Oliver Chin introduces young readers to the characteristics of each zodiac animal through lively stories accompanied by exuberant illustrations. The Year of the Rabbit follows the escapades of Rosie, a long-eared hare with a nose for adventure. Along the way, she meets the boy Jai and other animals from the Chinese lunar calendar. By story's end, Rosie discovers that her unique traits serve her well. 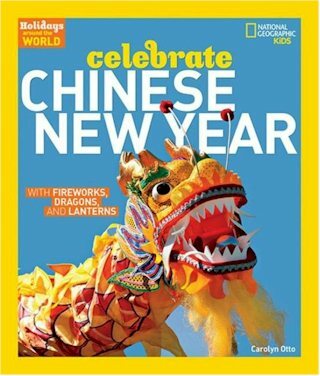 Celebrate Chinese New Year with Fireworks, Dragons and Lanterns - This vibrant and informative book is part of National Geographic's "Holidays Around the World" series. It is filled with concise, but informative details about many aspects of the Chinese holiday, including giving lucky red envelopes, the Chinese zodiac, the importance of the colors red and gold in the Chinese culture, the use of couplets, lion dancers, dragons, and more. 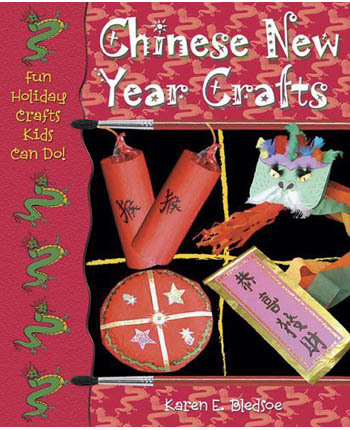 Celebrate Chinese New Year also includes a section on crafts and recipes that ties the learning in with more hands-on fun. 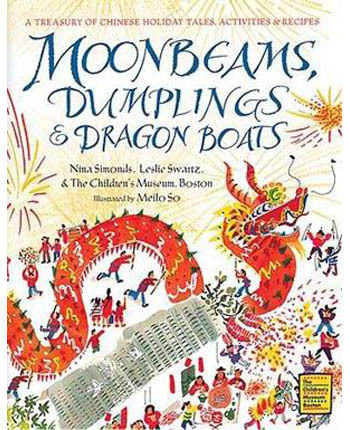 Moonbeams, Dumplings and Dragonboats - This is a long-time favorite book of teachers and families, alike. This beautifully illustrated book delves deep into the stories, celebrations and customs that surround many Chinese holidays including Chinese New Year, Dragon Boat Festival and Mid-Autumn Festival. Moonbeams is filled with recipes, activities and traditional tales that will engage readers young and old. 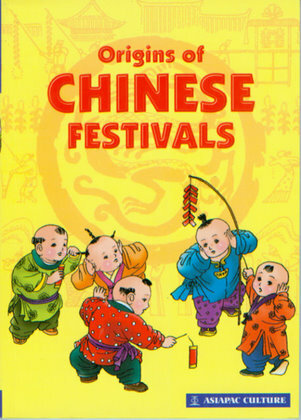 Origins of Chinese Festivals - The fabulous Origins series uses cartoon graphic stories to share history and culture with kids. This book explores all of the major Chinese holidays, including the customs and history behind them. There are 29 stories in all, which will have kids repeating facts that they didn't even realized that they learned because they were having so much fun reading comics. 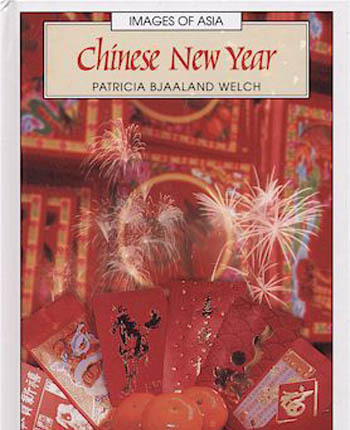 Chinese New Year - Patricia Bjaaland Welch takes readers on a journey that provides a complete introduction to celebrating the Chinese New Year. She shares insights into holiday origins, greetings, customs, food and more. After reading Chinese New Year, readers will come to understand the meaning behind the various flowers, fruits and symbols that are prominent during this most important Chinese holiday. They will also learn what to expect during the holiday and appropriate ways to interact with others, based on thousands of years of traditions and customs.